Odometer is 15283 miles below market average! Clean CARFAX. Certified.<br><br>LEATHER, Clean Carfax, Sunroof / Moonroof, All Routine Maintenance Up to Date, NAVIGATION / GPS, 1 OWNER, BLUETOOTH CONNECTION, 90 DAY SIRIUS XM TRIAL, COOLED FRONT SEATS, 10 Speakers, 360 Degree Camera, 4-Wheel Disc Brakes, 8" LCD Touchscreen, ABS brakes, Active Park Assist, AM/FM radio: SiriusXM, Auto-dimming Rear-View mirror, Automatic temperature control, Blind spot sensor: BLIS warning, Cargo Utility Package, CD player, Compass Display, Driver door bin, Driver vanity mirror, Dual front impact airbags, Dual front side impact airbags, Enhanced Security Package, Equipment Group 102A, Exterior Parking Camera Rear, Front Bucket Seats, Front Center Armrest, Front dual zone A/C, Front fog lights, Front Park Aid Sensors, Front reading lights, Fully automatic headlights, Garage door transmitter: HomeLink, Interior Cargo Cover, Knee airbag, Lincoln MKX Technology Package, Lockable Interior Storage, Low tire pressure warning, Memory seat, Molded Plastic Storage Bins, MP3 decoder, Navigation System, Passenger vanity mirror, Power Converter 110V Outlet, Power door mirrors, Power driver seat, Power Liftgate, Power moonroof, Power passenger seat, Rear Cargo Management System, Rear Parking Sensors, Rear window defroster, Rear window wiper, Speed control, Steering wheel mounted A/C controls, Steering wheel mounted audio controls, SYNC 3, Tachometer, Telescoping steering wheel, Tilt steering wheel, Traction control, Turn signal indicator mirrors, Variably intermittent wipers, Ventilated front seats, Wheels: 20" Premium Painted Aluminum w/20 Spokes. 2017 Lincoln MKX Reserve FWD 6-Speed Automatic 3.7L V6 Ti-VCT 24V Magnetic Gray Metallic<br><br>Lincoln Certified Pre-Owned Details:<br><br> * Roadside Assistance<br> * Warranty Deductible: $100<br> * 200 Point Inspection<br> * Vehicle History<br> * Includes Car Rental and Trip Interruption Reimbursement<br> * Limited Warranty: 72 Month/100,000 Mile (whichever comes first) from original in-service date<br> * Transferable Warranty<br><br>Awards:<br> * 2017 IIHS Top Safety Pick<br><br>Capital Ford Lincoln of Rocky Mount stands behind every vehicle we sell. Come test drive this vehicle and you just might take it home today! We are located at, 2012 Stone Rose Dr Rocky Mount NC 27804. Recent Arrival! CARFAX One-Owner. Clean CARFAX. Certified.<br><br>LEATHER, Clean Carfax, Sunroof / Moonroof, All Routine Maintenance Up to Date, NAVIGATION / GPS, 1 OWNER, BLUETOOTH CONNECTION, 90 DAY SIRIUS XM TRIAL, 10 Speakers, 360 Degree Camera, 4-Wheel Disc Brakes, ABS brakes, Active Park Assist, Adaptive Cruise Control, Air Conditioning, AM/FM radio: SiriusXM, Auto High-Beam Headlamps, Auto-dimming Rear-View mirror, Automatic temperature control, Blind spot sensor: BLIS warning, Bumpers: body-color, CD player, Compass, Delay-off headlights, Driver door bin, Driver vanity mirror, Dual front impact airbags, Dual front side impact airbags, Enhanced Security Package, Equipment Group 300A, Exterior Parking Camera Rear, Front anti-roll bar, Front Bucket Seats, Front Center Armrest, Front dual zone A/C, Front fog lights, Front Park Aid Sensors, Front reading lights, Fully automatic headlights, Garage door transmitter: HomeLink, Heated door mirrors, Heated front seats, Heated Rear Seats, Heated Steering Wheel, High-Intensity Discharge Headlights, Illuminated entry, Knee airbag, Lane Keeping System, Lincoln MKX Climate Package, Lincoln MKX Technology Package, Lockable Interior Storage, Low tire pressure warning, Memory seat, Navigation System, Outside temperature display, Overhead console, Passenger door bin, Passenger vanity mirror, Power door mirrors, Power driver seat, Power Liftgate, Power moonroof, Power passenger seat, Power steering, Power windows, Pre-Collision Assist w/Pedestrian Detection, Prem Lthr-Trimmed Heated/Cooled Bucket Seats, Rain-Sensing Wipers, Rear reading lights, Rear seat center armrest, Rear window defroster, Remote keyless entry, Split folding rear seat, Spoiler, Steering wheel memory, Steering wheel mounted audio controls, SYNC 3, Tachometer, Telescoping steering wheel, Tilt steering wheel, Traction control, Trip computer, Turn signal indicator mirrors, Variably intermittent wipers, Ventilated front seats, Wheels: 20" Premium Painted Aluminum w/20 Spokes, Windshield Wiper De-Icer. 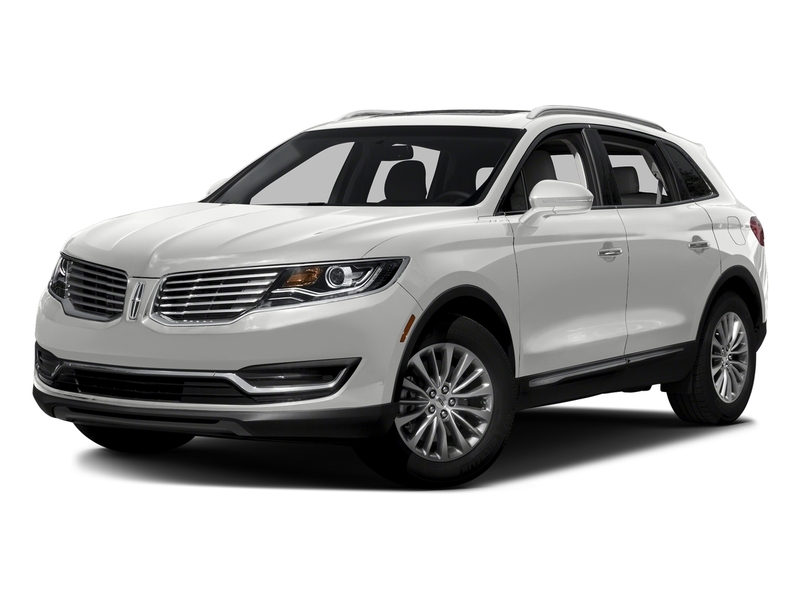 2018 Lincoln MKX Reserve FWD 6-Speed Automatic 3.7L V6 Ti-VCT 24V Ingot Silver Metallic<br><br>Lincoln Certified Pre-Owned Details:<br><br> * Vehicle History<br> * 200 Point Inspection<br> * Warranty Deductible: $100<br> * Limited Warranty: 72 Month/100,000 Mile (whichever comes first) from original in-service date<br> * Transferable Warranty<br> * Roadside Assistance<br> * Includes Car Rental and Trip Interruption Reimbursement<br><br><br>Capital Ford Lincoln of Rocky Mount stands behind every vehicle we sell. Come test drive this vehicle and you just might take it home today! We are located at, 2012 Stone Rose Dr Rocky Mount NC 27804. Certified. CARFAX One-Owner. Clean CARFAX.<br><br><br>Gold 2016 Lincoln MKX Reserve FWD 6-Speed Automatic with Select-Shift 17/26 City/Highway MPG<br><br>Lincoln Certified Pre-Owned Details:<br><br> * Transferable Warranty<br> * Limited Warranty: 72 Month/100,000 Mile (whichever comes first) from original in-service date<br> * Includes Car Rental and Trip Interruption Reimbursement<br> * Warranty Deductible: $100<br> * Vehicle History<br> * Roadside Assistance<br> * 200 Point Inspection<br><br>Awards:<br> * 2016 IIHS Top Safety Pick+ * 2016 KBB.com Best Buy Awards Finalist For More Details About This Vehicle Please CALL ! Paul Smith or Mike Habas at (910) 442-2690.